is completed. As beautiful a as a power station? As a Mancunian living in London, it is great to keep up to date with developments in the city by logging on to your excellent site, especially now things are moving so quickly in the city centre. Maybe I am one of the few who actually supports the redevelopment of Piccadilly. As a public space in a city that aspires to be world class, Piccadilly left a lot to be desired. I'm not saying the plans put forward by the city council are necessarily the best, but I think the area needed a makeover at the very least. I was interested to read your comment that the proposed new office block reminds you of a power station generating hall. My impression is that the shape of the building is characteristic of many former industrial buildings in Manchester, and therefore will fit in well with the new city centre. Let us also not forget that two former power stations are currently undergoing a startling transformation in London. The former Bankside power station has been magnificently restored and is now Tate Modern. Furthermore, the refurnishment of Battersea Power Station (also built by the same architect as Bankside - Sir Giles Gilbert Scott) has recently begun. I look forward to following the Piccadilly redevelopment and other changes to the city on your web site. Keep up the excellent work Aiden. Both Bankside (now the Tate Modern) and Battersea Power stations are magnificently designed structures in their own right, and remain in their original location. The office block to be constructed on our city centre gardens is a most uninspiring piece of contemporary architecture. It is out of proportion with the surrounding buildings and will cast shadows where presently sunlight falls. Contemporary architecture at its best is awe inspiring and breathtaking. Instead of a rectangular brick and glass box on what will soon cease to be our largest city centre green space, I would like to see more skyscrapers, and the best place to locate them would be grouped together in futuristic Salford Quays. Here are two of my favourite skyscraper developments from the UAE, the Burj Al Arab Hotel, and the captivating Emirates Towers, designed by I M Pei. Imagine if we had these in Salford Quays, near the Lowry and the Imperial War Museum. Tourists would be flocking into Manchester from far and wide see them. Many 'THANKS' for your reply, about my comments , over the M/cr city council. Iwill try to explain a little. I left M./cr in May of 1961 'NOT' because I did not like MANCHESTER, its council, or ENGLAND, &/or the gov't that was in office, at thetime. 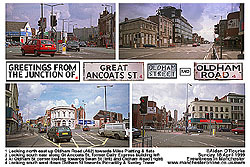 I left ''HOME' for domestic reason's/and also I was young and stupid at the time of leaving [I did intend to be back home in Manchester after 2 yrs] BUT that never occurred much to my REGRET. I HAVE LOST ALL FAITH IN COUNCIL'S, GOVT'S, TRADE UNIONS AND [what I call the 'THE TALL POPPY SYNDROME'], I HAVE NOT AND WILL NOT vote in any state, or federal election's. for the past 25 yrs. BECAUSE, in my opinion ANY, GOVT, COUNCIL, DEPARTMENTS are not interested in the ordinary people, UNLESS, of course they pay taxes, AND also I do not like (in fact, I detest ) what the world, is becoming,in other words AMERICANISATION... I see it here in Australia AND I see it in my beloved 'MANCHESTER'. 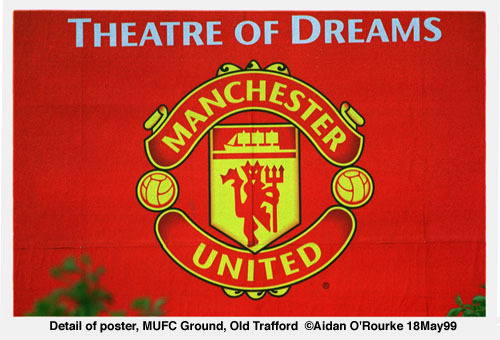 MY ashes will be coming back to MANCHESTER, to the M.U.F.C. GROUND in due time. Sorry to trouble you, BUT I am a 'BRITISH, MANCHESTER, MANCUNIAN, and VERY 'PROUD', of that fact. 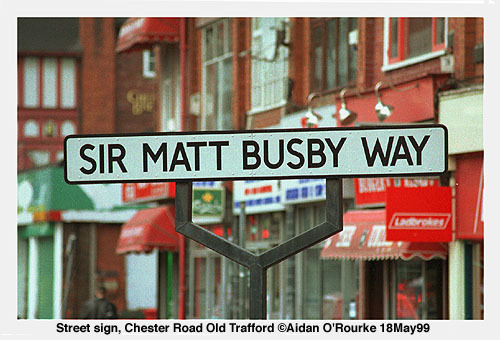 Born in Rusholme. YOURS SINCERLEY Arnold D M Walsh. Politicians beware! Arnie's sentiments can't be dismissed. The 60+ vote is gradually increasing as a proportion of the electorate. His vote, or withholding of it, is important. Voter turnout in the City of Manchester is pitifully low - only ten percent in some areas. And here's a thought: Does a council have a mandate to govern if only a small percentage of the electorate has voted for them? Perhaps, Arnie, you may be pleasantly surprised if you do manage to visit Manchester again, and I hope you can. Yes, it has changed enormously but many areas have preserved their original character, and I'm sure you might enjoy some of the new attractions in the city centre. Most of all, there is still a proud and determined spirit among the people, and I think you've got it! Name: Anthony R. Barlow Sr.
From or connections with: Whitefield, eons ago. Wonderful stuff you do, memories abound. any chance of a photo of Pendlebury childrens Hospital? Born there, caught German measles there, ha ha. how about a shot inside wards???? am I asking too much? Maybe. don't know. keep it up Aidan. Best as always. Tony B.
Organising interior shots is not my normal remit for EWM, but I'll take an exterior shot. As part of the trend towards larger hospital sites, Manchester Childrens Hospital facilities will be moved to a new complex next to MRI to be built in the next few years. Everytime I used to speak to somebody on the phone and tell them my address, they always spelt Blackley "B-L-A-K-E-L-Y" (phonetically). I then discovered an old map and that was exactly how it used to be spelt. Do you know why the spelling changed to the current way? The spelling of place names is often puzzling. Why is Leicester 'lester', Leominster 'lemster' and Worcester 'wuster'? As for Blackley, there could be many explanations: The black could be from the colour of the River Irk, the Black Death or something to do with coal perhaps. The 'Blake' might be a family name. I don't know, can anyone help? By the way, is that the picture you wanted? Reader Message: Dear Aidan, that Big M can achieve so much great feedback has to be a tribute to the sort of people that have lived there and continue to do so. I recently returned after 30yrs to a house we lived in at Longsight, actually a shop in Birch Lane and a house in Sunnybank Rd. It was a weird feeling driving in knowing where you were but not recognising a lot of the landmarks. The house in Sunnybank Rd was still owned by the chap who bought it from my folks in the seventies. His daughters invited us for lunch and we had curry and rice with the trimmings. The whole trip was excellent. Birch Park and Platt feilds are still there, amazing! I went to Wilbraham Technical high school on Nell lane. It was easy to see United in those days, Law Best Charlton Herd, what a team. Saw Kiddo score on his seventeenth birthday. 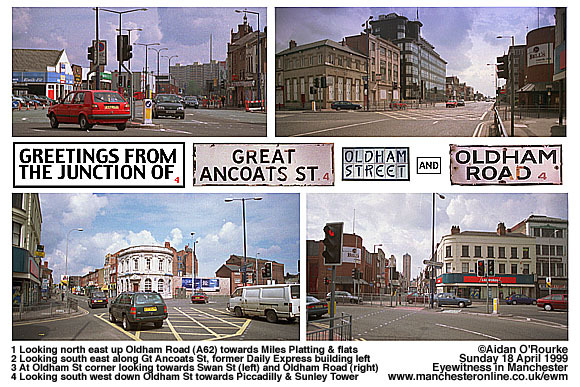 I enjoyed growing up in Manchester but what a change. I dont mind change but was sad to see the pics of Piccadilly. Anyway great site. Thanks for your message - glad you enjoyed your return trip - yes it is a strange feeling to return after some time away. I was away for five years, but came back every year or twice a year. As I write this I've been here in the United Arab Emirates for just nine days and I'm already getting homesick! Congratulations on your awaited arrival. I used to work in O.B. Gyn. at St. Mary's, many many years ago. Of course it was only to be near the Ritz. I used to take a change of clothing and then... right into the Ritz. I can hear my Mother even now. "You will dance your way into a decline" or "I think she has St. Vitus dance" I grew up thinking that meant I was a good dancer.My poor Father had to re-heel my dancing shoes every week. His lament was "You need a bloody cobbler, here"
Hello to all Mancunians everwhere! Aidan...How did you find the time? Only kidding! I don't spend all my time producing Eyewitness in Manchester! I occasionally take some time off for rest and recreation! I wonder what your dad would say about the all-night dancing, drinking and cavorting that goes on in Manchester on an average weekend these days. Wyn's name, she tells me was originally Winefride after St Winefride of Holywell in north Wales. Here's St Mary's Hospital where our baby will be born on 26th of September... in shallah, as they say here in the UAE! I believe there are plans to open a racecourse on the land to the west of the M60 near Worsley. It would be nice to have a racecourse in Manchester, currently the nearest one is Haydock Park. Aintree, of course, adds a lot to Liverpool. I'm not sure why the Manchester Races closed, back in the early sixties. Thank you so much for this web site. I have just found it and it is marvellous. I have spent hours looking and reading other messages and I am getting very home sick. 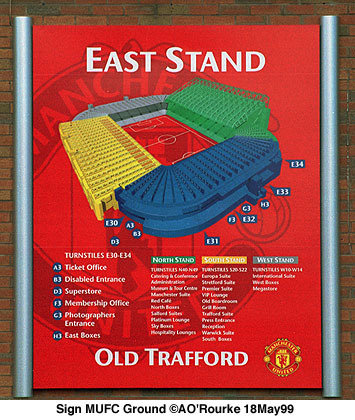 I emigrated to New Zealand 27 years ago and have only been back to Manchester twice in that time but I am coming for a visit in June. I used to live just off Parrswood Road between Fog Lane and Mauldeth Road and went to Ladybarn Primary School between 1954 and 1960. I went to Levenshulme Grammar School for Girls between 1960 - 1965. Would love to hear from anybody who went to these schools or from anybody who lived near me in Withington. I have fond memories of Platt Fields and Fog Lane Park and also the small park in Didsbury that had a costume museum in it (I've forgotten its name) does it still have the costume museum? Would like to see some photos of this as well if it is possible. Keep up the good work, you are doing a marvellous job. I think your memories may be getting a little foggy! 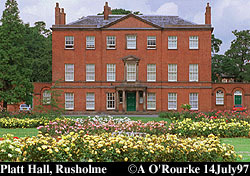 The costume museum is in Platt Hall - the small park in Didsbury is probably Fletcher Moss Park, where there is a wonderful botanical garden. 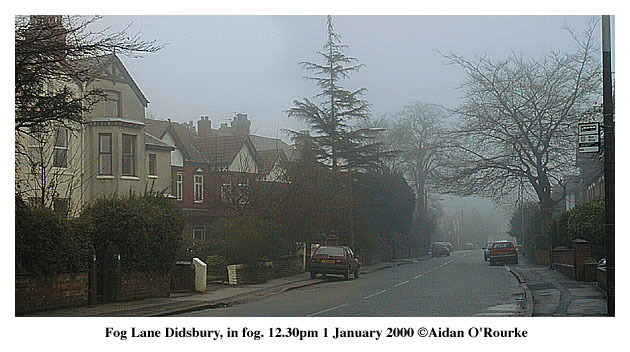 Here's a photo of Fog Lane, Didsbury, in Fog. Thanks for your support.